A conviction for even a minor traffic offense can be life-changing. As police and courts continue to take drunk driving and other traffic offenses more seriously, the need for aggressive representation by an experienced criminal attorney is greater than ever. 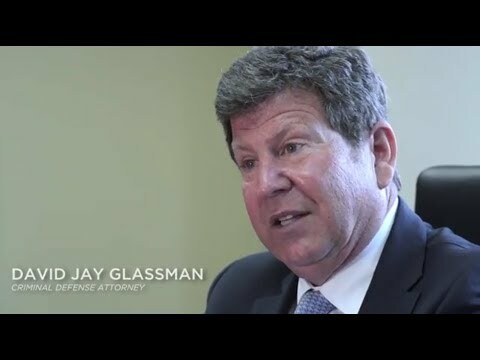 At the Law Office of David Jay Glassman, we have more than 35 years of experience tenaciously defending clients charged with reckless driving, vehicular homicide, driving under the influence (DUI) and other moving offenses. Our legal team works to get charges reduced or thrown out and uses all available evidence to defend you. We serve all of New Jersey from our offices in Hackensack, Marlton, Newark, and New Brunswick. Driving under the influence is a serious criminal charge. Drivers under the influence of alcohol or drugs are prohibited from operating a vehicle or boat in the state. New Jersey’s drunk driving laws are some of the toughest in the nation. Even first-time offenders face a mandatory loss of their license and possible prison time. Adult drivers are considered to be under the influence when their blood alcohol concentration (BAC) is 0.08% or higher. Drivers with a BAC of 0.10% or higher face enhanced penalties. Drivers with a BAC above 0.15% and repeat offenders will also need to have an ignition interlock device installed in their vehicle to prevent future offenses. Refusing a breathalyzer test also results in a mandatory license suspension. Because of the automatic license suspension that comes with a DUI conviction, most drivers in New Jersey simply cannot afford to lose their case. When you hire our firm, you are getting a legal team who aggressively challenges all evidence presented against you. We attack inconsistent breathalyzer machines, unscientific roadside sobriety tests and the flimsy or nonexistent excuse an officer used for pulling you over. We defend a wide range of clients against traffic infractions, misdemeanors and felony charges related to operating a vehicle. When you live in New Jersey, giving up your license for three months or a year simply isn’t an option. You need an attorney who will stop at nothing to defend you in your DUI case. Contact the Law Office of David Jay Glassman online or call us at 866-221-1270 to schedule a free consultation at one of our offices in Marlton, New Brunswick, Hackensack and Newark. Our legal team handles cases throughout New Jersey.